LOS ANGELES — Chris Paul scored 19 points and Los Angeles Clippers used a balanced offense to beat the Houston Rockets 125-96 in the NBA on Monday night. Paul also had nine assists, five rebounds and four steals in the win, while Blake Griffin added 18 and eight rebounds for the Clippers, who stayed tied with the Utah Jazz in the race for the fourth seed in the Western Conference standings ahead of the playoff. DeAndre Jordan ended with 14 points and 11 rebounds for his fourth successive double-double, while Paul Pierce and Brandon Bass each scored 10 points for the LA Clippers, who won their sixth successive game. “Our destiny is in our hands,” said Jordan. Top reserve Eric Gordon scored 17 points off the bench to lead the Houston Rockets, who shot just 39.3 percent overall and went 9-for-40 from 3-point range. MVP candidate James Harden shot just 2-of-9 for 14 points, while missing 5 of 6 3-pointers. He also finished with seven rebounds and six assists in the defeat. Montrezl Harrell added 15 points and 13 rebounds, while Bobby Brown and Troy Williams also scored 15 points for Houston (54-27). Brown also dished out nine assists. 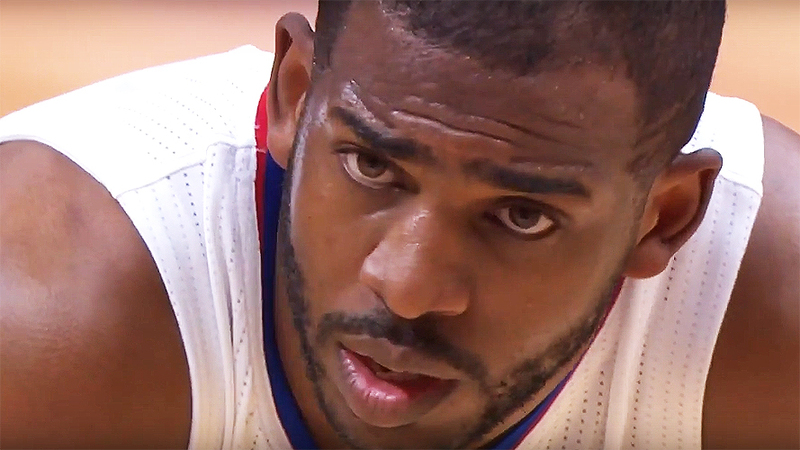 The Clippers lead 61-57 at halftime before outscoring the Rockets 36-12 in the third quarter to take a 97-69 lead. The LA Clippers will play host to the Sacramento Kings on Wednesday night, while the Utah Jazz will entertain the San Antonio Spurs. For more information visit team pages for the Houston Rockets and the LA Clippers.